Parkinson’s disease is a neurological disorder, which affects motor functioning. The symptoms include shaking (tremors), rigidity of muscles, difficulty speaking, problems walking, and depression. Depression occurs as a direct result of Parkinson’s in 80% of those with the disorder. While some of those suffering with this disease initially have relatively mild symptoms, which slowly progress over time, others degenerate rapidly. Parkinson’s is currently not included under the Compassionate Allowance program, meaning that being diagnosed with Parkinson’s does not guarantee that you will win your disability benefits case. Thus, those with Parkinson’s must prove that their condition hinders them from doing any work they have done in the past 15 years or in another job for which they could be reasonably trained. It is generally not difficult for those with Parkinson’s to prove that they could not train for new employment. However, it can be more complicated to prove that you cannot do work you have previously done, depending on your prior work. If you or a loved one is suffering from Parkinson’s disease, contact this law firm for a free consultation on your eligibility for disability benefits. According to a new study, one of the side effects of medications commonly prescribed for patients with Parkinson’s disease is a problem with impulse control. Impulse control disorders are characterized by the individual’s inability to resist impulses or temptations to engage in acts that have the potential to cause harm to him or others. Pathological gambling is an example. Hypersexuality or sexual addiction is another. In other cases, people may shop excessively or binge eat. The study, which appeared in the journal Expert Review of Neurotherapeutics, found that 14 percent of persons who suffer from Parkinson’s disease experience at least one such side effect. Parkinson’s disease drugs that are specifically linked to such impulse control disorders are pramipexole and ropinirole. These are drugs that are often used to control symptoms of Parkinson’s disease like uncontrollable tremors. Scientists at Cambridge University’s Whitehead Institute for Biomedical Research have announced the identification of a compound that they believe can help reverse the toxicity found in central nervous system cells of a person suffering from Parkinson’s Disease. The results of the research were published recently in the journal Science, with scientists cautioning that there is still a lot of work to be done. The results are very preliminary, and the study is still in its early stages. In fact, the scientists are not even using the word “drug” to refer to the molecule that they identified while analyzing more than 200,000 compounds. In other words, it will still be a long while before the molecule is actually converted into an ingredient that human beings who suffer from Parkinson’s Disease can take safely. The molecule was tested on persons who suffer from a form of Parkinson’s Disease. The scientists created stem cells from the samples, and from those stem cells, they generated neurons that are affected in a person who suffers from Parkinson’s. They found that the special molecule managed to reverse the signs of disease in nerve cells. The researchers say that they will now focus on modifying the compound, so that they can move on to the next stage, which is testing in animals. 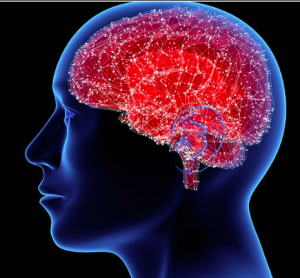 Tagged: "disabilty benefits parkinson's" and "stem cell research"
Often, Atlanta disability benefits lawyers come across persons who suffer from symptoms of Parkinson’s disease, and want to know if they are eligible for Social Security disability benefits. 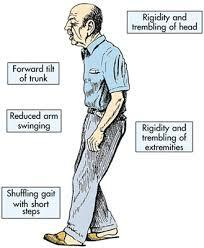 Parkinson’s disease is a degenerative disease, which means that the symptoms get progressively worse over a period of time. The most commonly known symptoms of Parkinson’s disease are tremors and shaking, but there are a number of other symptoms that can also worsen as the disease progresses. For Instance, the person may suffer from muscular stiffness, difficulty in coordination, difficultly balancing, slow movements, and slurred speech. As the disease progresses, the person may even suffer from dementia. The symptoms may seem minor during the beginning stages of the disease, but will get progressively worse, and can dramatically impact the person’s ability to earn an income.